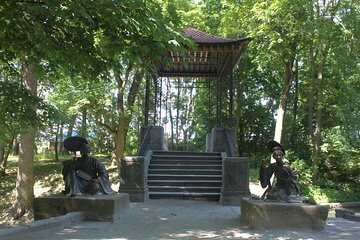 After pickup from your Kiev hotel, you and your private guide will set out for Arboretum Oleksandriya Park. This is an opportunity to explore a part of Ukraine that foreign visitors rarely get to see. On this day trip, you’ll cover the park’s 297 hectares, which feature 2,240 species. Get a glimpse at royal life in the 19th and 20th century through the fantastic architecture and sculptures.